How do you trigger institutional, cultural and behavioural changes in research organizations to foster open science and RRI? The ORION project is exploring these questions. In our interview Dr. Michela Bertero and Dr. Luiza Bengtsson give us some details on the projects aims and its lessons learned so far. ORION is a 4-year project (from May 2017 to April 2021) which will explore how organizations in life sciences and biomedicine can open up the way they fund, organize and do research. The project has received funding from the European Union’s Horizon 2020 research and innovation programme under the Science with and for Society (SWAFS) Work Programme. Nine institutions take part in ORION which is coordinated by the Centre for Genomic Regulation, Spain. 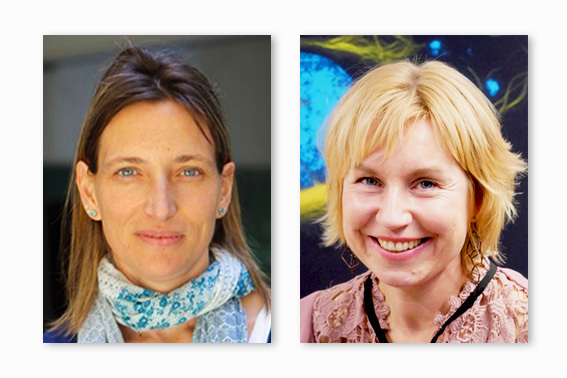 We asked Dr Michela Bertero and Dr Luiza Bengtsson about the project’s goals, actions and learnings on fostering open science and responsible research and innovation (RRI). What are the goals of the ORION project? The goal of ORION is to promote open science, in all its facets and flavors, as a means of increasing collaboration, engagement and transparency in the scientific practices. Our ultimate vision is to bring more science into society and more society into science. We are focusing on life sciences research performing and research funding institutions, which is an ambitious target and an experiment not yet done on such scale. The research we do is highly specialized, focusing on very fundamental molecular mechanisms underlying life and using very complex technologies. It is often difficult for the lay public or other stakeholders, who are not expert in life sciences, to understand what we research on and what its relevance is, since often this research does not lead to short-term impact in our lives. ORION aims to identify what parts of our research processes we could open up and then to engage different actors, educate them in different concepts, ask them for their inputs and opinions, and sometimes even involve them directly in experiments. Fundamental research does have a tremendous long-term impact in our society, and that is why ORION takes up the challenge to engage researchers in a mutual and fruitful dialogue with citizens. What actions do you take to embed open science and RRI in research policies, practices and processes? The first step was to identify how much awareness for open science exists in the participating institutions and also how much and what involvement with research the citizens actually want. The results will guide several co-creation experiments in different institutes and countries. We will run public dialogues on disruptive technologies, such as genome editing to understand citizens´ views and reflect on how researchers and policy makers could incorporate them in their work. Funders will promote participatory processes when deciding or evaluating funding calls for projects tackling societal challenges. We have also started interesting citizen science projects, engaging citizens in the scientific experiments so they can also contribute with their ideas and skills for the advancement of knowledge. All of the mentioned exercises are not possible if the researchers and support staff are not on board. Therefore, one of the central activities of the ORION project is also training on tools and concepts of open science for scientists. How do you approach the different stakeholder groups? We define which stakeholders we want to approach for each ORION experiment. ORION partners represent already different views, including not only experts in research and funding, but experts in public engagement (VA), patients´ representatives and medical doctors (ANT) and social scientists (CRECIM). We also have a rich network of associated partners that help us to reach very diverse and relevant stakeholders in Europe. The project aims to open up research institutions to make them more permeable for input from external stakeholders. How do you pursue this goal? We have already mentioned the different co-creation exercises we are planning. All of these have the support and commitment of the management boards from the participating institutions. The results will serve as guidelines for new public engagement strategies in our institutions. By creating opportunities and promoting direct collaborations between citizens and scientists we expect long-lasting impacts on how scientists think about their work. In one of the projects we have already conducted, the art-science collaboration as a prelude to the public dialogue, we could observe the change in attitudes in real-time, in all protagonists. In this project, the artist Emilia Tikka, spent three months in our research labs, working on her art-piece on genome editing together with the scientists. The initial clash of cultures turned into mutual understanding and respect for each other’s perspectives, while her art-piece continues to inspire the audience to engage with the societal impact of CRISPR research. What is the role of libraries and other research infrastructure organizations in this project? For the researcher training, we work closely with local libraries. After all, this is where we find the experts for research data management and publications, whom the researchers can contact with specific questions. We are also involving research infrastructure organizations as these are really at the core of our research. We will engage the European Genome Phenome Archive when we will run a public dialogue on medical genomics in Barcelona, we will use specific infrastructure when we will start gathering data from our citizen science projects, and so forth. What are some lessons learned during the project so far? The research community is yearning for open science. The interest in our training and the newly launched podcast shows that particularly early-career researchers have the interest and the will to engage with open science practices. However, this is currently not incentivized as a career progression mechanism. Unfortunately, we cannot change that in the course of the ORION project. What we can do is to prepare and engage the individual researchers for the time when it will not be necessary to talk about open science, as it will become equivalent to good quality science. We are also observing that the citizens are keen on being involved in research. Our Europe-wide survey clearly shows that the public is willing to get personally involved in life sciences research, if this means contributing to greater knowledge for all. These initial steps indicate that we are on the right track and that our multiple experiments will lead to interesting results we want to share with society. Dr Luiza Bengtsson is a biochemist turned science communicator. She went from life sciences research uncovering communication channels in cells to creating new channels for dialog between science and society. Luiza’s work, mainly at the Max Delbrück Center for Molecular Medicine in the Helmholtz Association, centers around her motto: more science into society and more society into science, which she lives by organizing large science popularization events, training high school teachers and enabling art-science and citizen science co-operations. In the ORION project, Luiza heads the team responsible for developing training on open science. She is also a co-founder of a professional development company Trekstones and a CEO of BesserWissen e.V., a non-profit organization dedicated to developing and spreading tools for critical thinking. Dr Michela Bertero is a molecular biologist with several years of experience in research management, strategy and policies. She is currently the head of International and Scientific Affairs at the Centre for Genomic Regulation (CRG) in Barcelona (Spain). Her department´s mission is to strengthen the international and interdisciplinary dimension of the institute and create new opportunities for the scientific community by fostering new strategic partnerships and alliances, coordinating international collaborative projects, providing strategic advice and support to the Director and fostering scientific talent through integrated training programmes. She played a fundamental role in the creation of the European alliance in life sciences, called EU-LIFE, that she is now representing in the European Open Science Policy Platform advising Commissioner Moedas. She is also coordinating the H2020 project ORION on Open Science. Prior to joining the CRG, she worked as postdoctoral researcher in molecular and structural biology and she holds a Ph.D. in Molecular Biology. Blockchain: Could libraries and open science benefit from this technology? Stifterverband Study: What do we gain through Open Science and Open Innovation?